The agreements on a truce in Ukraine are not working as separatists, supported by Russia, continue attacks in eastern Ukraine, Lithuanian Minister of Foreign Affairs Linas Linkevičius said on Monday after discussing the existing situation with his Ukrainian counterpart. "We were able to hear once again that the truce is being ignored completely at the moment, two soldiers were killed last night. Attacks by pro-Russian forces continue, therefore, Ukrainians cannot withdraw their army from the confrontation line," Linkevičius told BNS by phone from New York. "The agreements are not working. If somebody had illusions that the agreements would be implemented after the fall of Debaltseve, so they are not being implemented," Linkevičius added after a working breakfast with Ukrainian Foreign Minister Pavlo Klimkin. 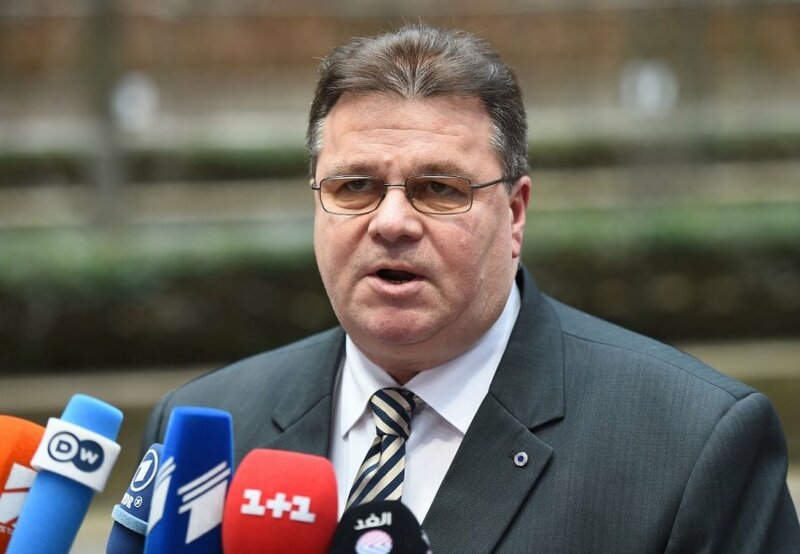 According to Linkevičius, the international community must put pressure on Russia for border control to be ensured and conditions to be created for international observers to do their job. The Lithuanian minister was cautious, however, about Kiev's proposal to deploy international peacekeepers in eastern Ukraine. The possibility will be discussed, but it will be difficult to make any decisions amid Russia's resistance in the United Nations, Linkevičius noted. "We will discuss the conditions and possibilities for peacekeeping forces, but it will be difficult to make such decisions in the United Nations, being aware of Russia's negative reaction," Linkevičius said. Ukraine is concerned that having seized control of Debaltseve, pro-Russian separatists will turn their eyes on Mariupol with 500,000 residents. Its control would let Russia create a corridor to Crimea it annexed last year. Following Russia's annexation of Crimea, the United Nations Security Council has held at least 30 meetings on the situation in Ukraine but nothing has changed, Linkevičius said during the UN Security Council's Monday meeting. "A year ago, as Crimea was being annexed by force and falsehood, Lithuania called for the first Council meeting on Ukraine. The Council has since held at least 30 meetings on the situation in Ukraine. But nothing has changed on the ground," he said. "Even as we speak, Russian proxies continue to rubbish the latest ceasefire agreement, continuing their attacks in blatant violation of the Minsk agreements and UNSC resolution 2202. Russian arms and Russian "humanitarian" convoys continue to flow across the border into the militants' hands. The geography of violent provocations is expanding far beyond the ceasefire line, as seen from yesterday's [Sunday's] bomb attack in Kharkiv," Linkevičius said. Reminding of Lithuania's tragic history, the minister said there was now evidence in Europe that Russia was using military power to violate the neighbouring country's sovereign rights in order to satisfy its own neo-imperial ambitions. According to Linkevičius, the fact that a member of the UN Security Council, which has a special status and the duty to keep the peace, is violating the principles of the Charter of the United Nations is of particular concern. "The Kremlin’s anti-Ukrainian rhetoric could not be more toxic. 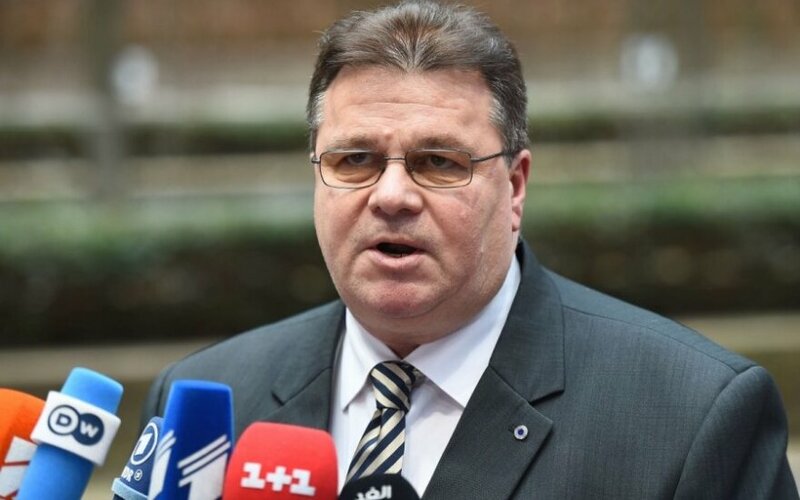 Only because the Ukrainians want a clear break with the corruption and cronyism of the past, they were branded as fascists and the peaceful protests of the Maidan, whose anniversary was marked this past weekend, as an extremist coup," Linkevičius said. Lithuania is a non-permanent member of the UN Security Council until the end of this year.